Wheelho use Solutions provides fully managed IT infrastructure and applications, in cloud-enabled environments. 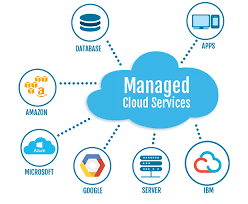 By utilizing our managed cloud services, businesses can enjoy the best of class service, rapidly provisioned hardware, middleware and outstanding support to meet their IT demands. As one of St. Louis, Missouri’s premier providers of managed cloud services, Wheelhouse Solutions also offers cloud hosting services, as well as a team of cloud service specialists to help our customers effectively manage their IT infrastructure. Colocation Services that provide reliable, enterprise-class hosting for businesses, ensuring dependable environments to protect and ensure the continuity of business-critical applications, network services, and digital assets. Managed Application & Middleware Server services that offer implementation, configuration, monitoring, maintenance, upgrades and patches for application/middleware servers hosted at Wheelhouse data centers. Managed Database Services that include implementation, administration, support, maintenance and data optimization, as well as reliable disaster recovery services. Managed Network Services, including data protection and disaster recovery solutions that minimize downtime, allowing your IT staff to focus on mission-critical needs. Managed Security Services that provides network intrusion prevention and detection, real-time log flow analysis, vulnerability assessments and 24/7/365 monitoring and management. Managed Server Services that provides a scalable and reliable physical server, as well as VM management services that ensure your servers are running at peak performance. Managed Storage Services include reliable and resilience storage capabilities to protect and recover your data more quickly. Managed Web Server Services that include implementation, configuration, maintenance, monitoring upgrades and patches of Web servers hosted within Wheelhouse data centers. Wheelhouse Solutions can provide Managed Cloud Services for your business. We invite you to click here or call 314-492-2506 to request additional information about our Managed Cloud Services. We’ll work with you to develop a solution that will meet your needs now, as well as provide for future growth and flexibility.